If you’re anything like us, you’ve been making heart eyes at the Everything, Everything trailer for the last few months. And while we’re busy mentally matching scenes from the book with frames from the trailer, Amandla Stenberg is busy making more movies based on our favorite books. So, grab a bag of popcorn and settle in as we geek out about Amandla Stenberg’s incredible literary resume. Amandla Stenberg captured our bookworm hearts with her supporting role as Rue in the first installment of The Hunger Games, based on the novel by Suzanne Collins. 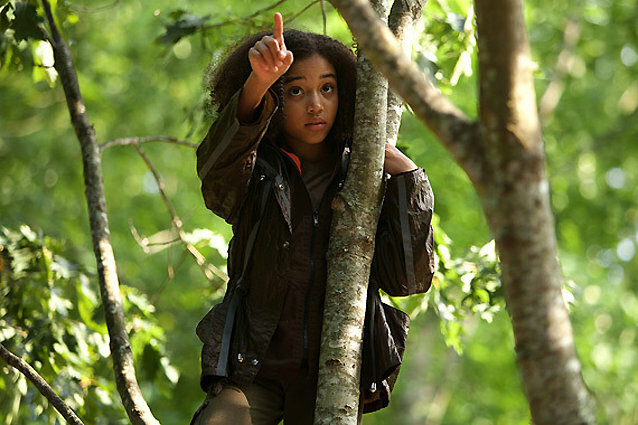 Her heartbreaking portrayal of Rue, a competitor from District 11, was short-lived but essential in the story’s four-film saga. Stenberg was just 13 years old when the movie was released, setting in motion what is sure to be a long and fruitful career. In 2013, Amandla Stenberg turned to television, guest starring on Sleepy Hollow, a modern adaptation of Washington Irving’s 1820 short story The Legend of Sleepy Hollow. In her small screen debut, Stenberg portrayed Macey Irving, daughter of Police Captain Frank Irving. Stenberg’s season one arc only lasted four episodes, but how many teenagers can claim a television credit where they were possessed by a demon? With Everything, Everything in theaters, Amandla Stenberg is hard at work filming her next bookish project. The Darkest Minds, based on the series by Alexandra Braken and co-starring Mandy Moore, is anticipated to be in theaters next year so start your countdown now. There’s still so much we don’t know about this movie, but long-time fans of The Darkest Minds know Ruby as a survivor of the plague that killed 98% of the population and the recipient of a new set of supernatural powers. 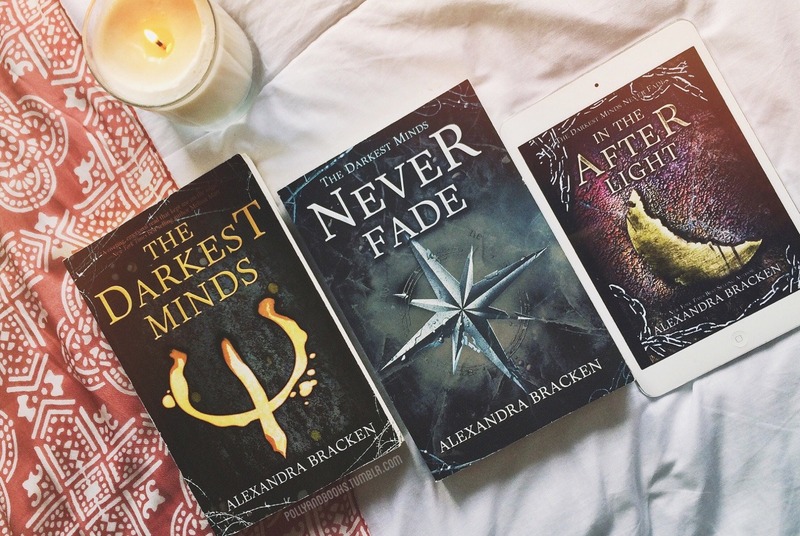 If you’re looking for us, we’ll be over here refreshing Alexandra Braken’s Twitter page for the next year. Angie Thomas’ The Hate U Give is so incredible that the movie rights were acquired a year before the book was released. Can you imagine? Amandla Stenberg was attached to play Starr from the beginning, paired with director George Tillman, Jr. of This is Us and Luke Cage fame and screenwriter Audrey Wells, known for her adapatation of Under the Tuscan Sun. The movie hasn’t even begun filming yet, so there’s a lot of exciting news on the way. In the meantime, we’ll be hanging out on Angie Thomas’ Tumblr and buying copies of The Hate U Give for everyone we know.